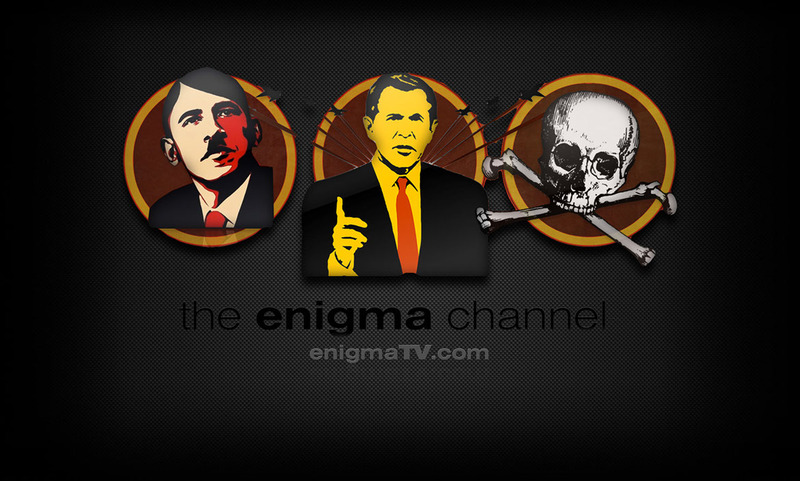 The Enigma Channel will be in touch shortly. Everything is in HD960 format - no waiting for torrent downloads, no pop-up ads, no set-top box required. Sit back and watch in full screen on any Mac, PC, Tablet or iPad.  The Enigma Channel has a custom HD documentary search engine. Every day, rare documentaries are deleted from video sharing websites, or blocked from public view. TV stations worldwide are wiping and erasing their old video tape stock and trashing documentaries and experimental films. knowledge contained in rare films & documentaries which are no longer available. Please subscribe/donate & help us fight against 'Dumbing Down'. COMPLIANCE: This website offers documentary films and related media under the auspices of the Fair Use guidelines, and the relevant certification of our broadcasted materials is certificated as E Exempt From Certification unless otherwise stated. We do not take responsibility for the third-party provided Content which may appear as a result from our HD Search Engine or material uploaded to third party services which integrate with our own intellectual property. the enigma channel, enigmaTV.com, zapTV, TheMovieCloud.TV & enigma motion pictures are Premium Search & Indexing Services & registered as Online Service Providers under the Fair Dealing provisions of English Law. 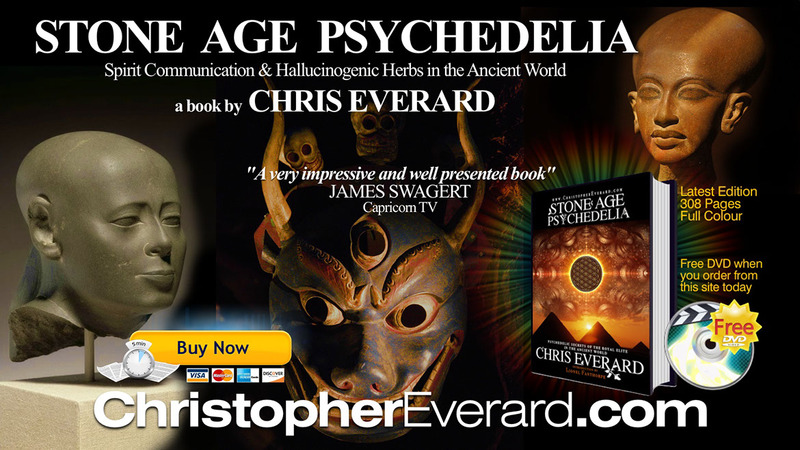 Wholly owned by the enigma foundation for arts & sciences™ administered by agent Christopher Everard™ ® © 1997-2016 all rights reserved.